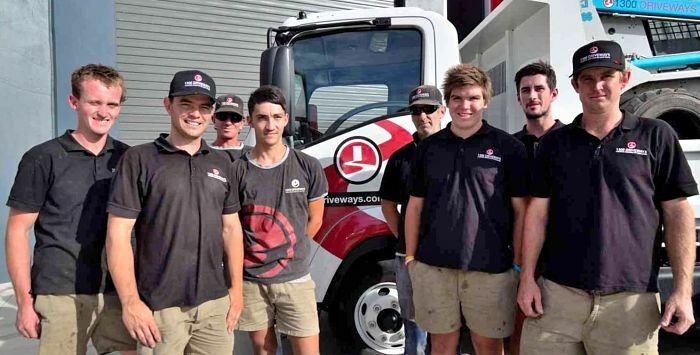 With over 25 years experience, 1300 driveways is the leading premier concrete service provider Victoria wide servicing all areas of the South Eastern Suburbs. Our team of fully qualified landscape and concreting professionals provide you with top quality service, ensuring the highest level of workmanship and products. We pride ourselves on introducing some of the most innovative ideas in the concrete market by providing you with simple and effective methods to help make your concrete selection easy. Great guys to deal with, friendly, helpful with good communication. They did the job when they said they would and did the work to a very high standard! Which has made this fussy homeowner extremely happy. Would definitely recommend Adriaan and his team. Exceptional service and quality of the work. Chris and the team are very professional and approachable. Chris has lots of experience in the field and gives valuable advice. You will not be disappointed with 1300 Driveways!.